The year 2019 is finally here! Gear up to take on new challenges as new year resolution by refreshing your Social network with new apps and themes. 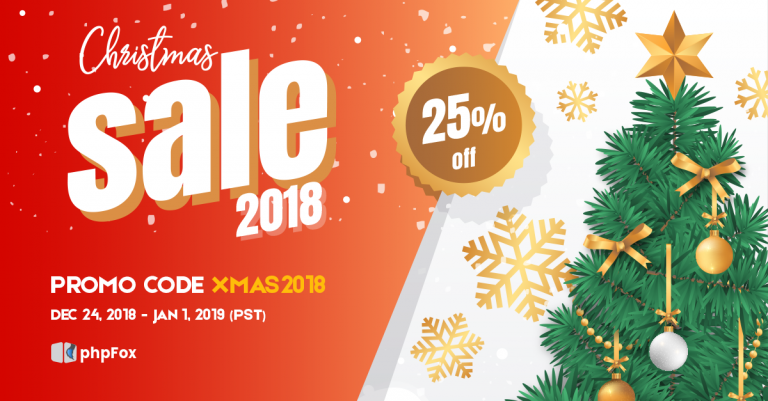 Last month, December, was a whole month of holiday and festive spirit, yet phpFox Store still shook with several new and incredible products. Let's find out these new phpFox Apps and Themes to equip your site with the best tools! 1. phpFox Mobile Apps by phpFox ﻿ As an ultimate solution, our phpFox Native Mobile Apps can boost to amplify users’ awareness of your community. Enhancing connectivity with instant access, phpFox Native Mobile Apps will surely return a higher conversion rate and cost-efficient values to your Social Network.Learn More... 2. Video Popup Viewer by FoxExpertUsers love watching and sharing videos on Social networks. With Video Popup Viewer app, users on your network will have better ability to browse videos. This app also allows easy AJAX functions to edit videos. You can play video in the popup or in the bottom of the website. Additionally, the app has many other different options like downloading, featuring and sponsorship. Browsing videos with Video Popup Viewer guarantee the best experiences for users.Learn More... 3. Feed Bypass by Scheinwelt-MediaThis app allows you to select which apps can add items to the main feed. If you don't want a specific feed item to show up, simply add it to the list of bypass feeds. This could be very useful to clean your main feed and database by bypassing items like friendships, forum replies, profile changes.Learn More... 4. AdBlock Detector by FoxerAdBlock Detector checks if the visitor uses any sort of ad blocker. If they are, you get the opportunity to display a targeted message to them. You have control over that message and can customize it freely.Learn More... 5. Apps Downloads Buttons by FoxExpertA simple solution which helps you add links for your mobile apps downloads in any page, the footer, or on the Material Landing page. Done with best Phpfox practice and without changing core files.Learn More... That's all for now. If you want to learn more about the functions and features of these new products, you can contact directly to our third-party vendors for inquiries. Or you can let us know your thoughts on these products by writing to hello@phpfox.com or create tickets in the Client Area.Wanna purchase new licenses? As you may know, the very new version 4.7.2 was just officially released. We have been receiving much positive feedback about this release. You can purchase phpFox right now to enjoy these above perks just by clicking on the button below.Don't forget to subscribe to our newsletter to receive the latest news and deals in upcoming events. Happy New Year! New gift arrives at you on the very first days of 2019! Indeed, we are delighted to inform you phpFox 4.7.2 is finally released. We believe with this release, it will be a great headstart for you to get back to your community after a long holiday season and kick off an awesome year ahead. 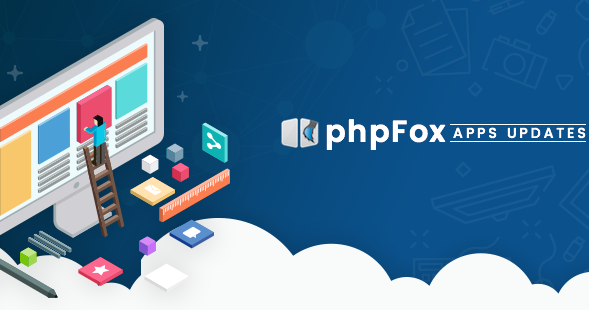 Upgrade your platform now and enjoy the best experience with several issue fixings and feature enhancements on phpFox 4.7.2!Improvements We gradually advanced phpFox functionalities to meet any needs and demands based on clients' feedbacks. You can find some highlighted key improvements from the list below: - Allow Admin to Enable/Disable countries instead of deleting them. - Support to restore Theme design when upgrading Platform or template. - Allow sorting users list to only friends.- Update and remove unused/unnecessary scripts in several core sections. Fixed Issues We collected and resolved all major bugs and issues from the last version. Some of the highlights fixed issues include: - Duplicated feeds after sharing a post on a friend's wall. - Tag users appear on feeds even these users set privacy settings. - Don't show custom gender on profile cover. - If post hashtag combines with URL, there is no space between them. - Redirect to wrong Pages/Group when clicking on the notification.For the full list of improvements and bug fixes, please visit the Release Notes. Changelog If you are developers and you have a concern about the changes in the Core script on this version. See the complete changed files. Installation & Upgrade We encourage you to back up your site and database before performing the upgrade. Make sure to check with 3rd-party experts about the compatibility of all the apps/templates you are using. Also, take advantages on useful guides below if you want to upgrade the site yourself.– Download – Upgrade Instructions – Installation Guide Important Notes - All default apps of phpFox are compatible with the Core 4.7.2- If your phpFox site is using 3rd-party apps or has customizations, our recommendations can help you. If you found any issues with this version, please let us know by submitting tickets or reporting immediately to our GitHub Tracker. We also encourage you to join and stay connected with the Community Forum.We welcome any feedback to make phpFox better and better every day, so feel free to let us know your thoughts on this release by emailing us at hello@phpfox.com.Let's start 2019 with phpFox 4.7.2 and enjoy your social network! 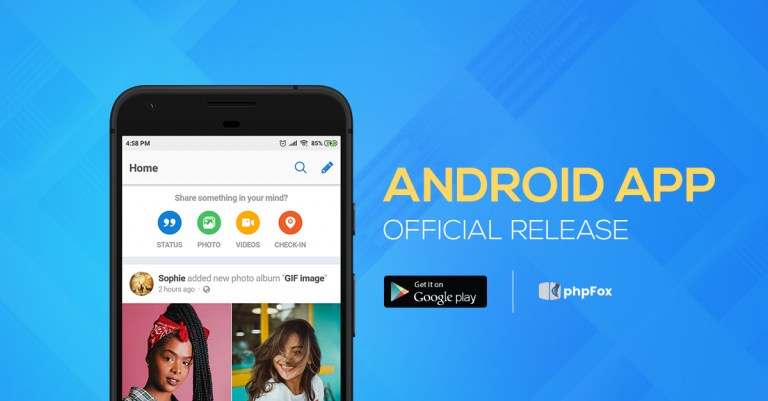 Marking an important milestone in our mobile development roadmap, today we are proud to announce that the phpFox Android mobile app is available on the Play Store. So far, the phpFox mobile apps are on both the Apple Store and Google Play, the most important goal of 2018. Let's take a look today!It was such an amazing week so far as we have been receiving much positive feedback since the release of the iOS app. Thank you for your contribution. Since the Android app stands as a fully-realized companion to the iOS app, our team have burned energy, fully focused and endeavored to complete the Android app as soon as possible. Today, the Android app is released sooner than the expected time. You now can have a full mobile app solution for your phpFox sites which bring many great values to your users. How to experience the Android app Same as the iOS app, we published the Android app to Google Play. Android users can download the app from the Play Store. Let's go to Google Play on your Android device and search for “phpFox“, then download and install the app named phpFox. Or click on the button below.Demo Server URL: https://mobileapi.phpfox.com User: phpfoxtest1@phpfox.com Password: 123456 How about the iOS app? Let's check our guide in the phpFox iOS Mobile App Official Release blog. How to use the Free phpFox Mobile apps with your phpFox site We are still offering default phpFox Mobile app version to clients holding V4 Pro license now. Please submit tickets in Client Area to get this mobile app version before December 31st, 2018 (PST).If you are using other V4 licenses, you will need to upgrade your licenses to V4 Pro first. You can refer to the Upgrading the Product Package Type guide. Our next plan According to our roadmap of mobile development, we are going to release app versions for Android tablets and iPad. Also, we keep upgrading the iOS and Android mobile apps to maintain, add more new features and improvements. Keep us posted with your thoughts and ideas on both Android and iOS app to see how we can improve the app better by writing to hello@phpfox.comAlso, as our plan, we are going to apply the new price of the phpFox V4 Ultimate license in a few days. The current price of Ultimate license ($1,199) and the upgrade fee from V4 Pro to Ultimate ($660) are being offered as the discounted prices for our early-bird clients. Therefore, if you intend to use Premium White-label mobile version, please don't miss this chance to get the Ultimate licenses at this time. 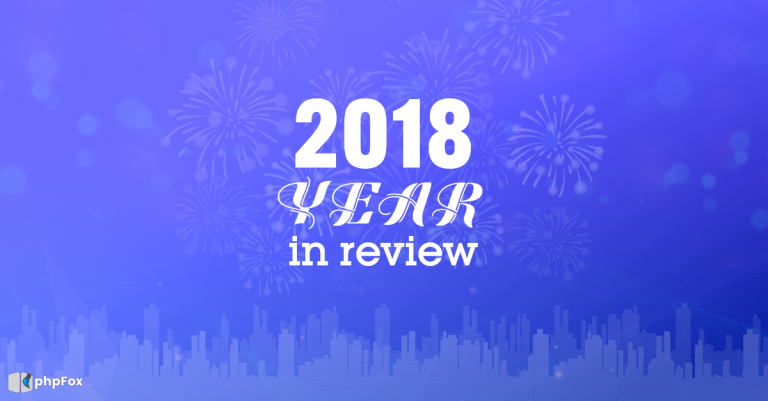 Regard as the major project since the beginning of 2018, yet now the wait is over. Today we are glad to announce the phpFox iOS Mobile App is here for you to experience.On daily basis, people nowadays almost live in smartphones. We work, watch, listen, communicate, do a lot of stuff there. Definitely, your phpFox Social Network needs a mobile app as a comprehensive source of online content and harnessing users’ desire for social connection anytime, anywhere. Building up with the mindset of easy-to-use yet completed and full-featured, the app has all the tools you can expect from a Social mobile app. In term of appearance, the app consists of a sleek interface which applies incredible user experience techniques. 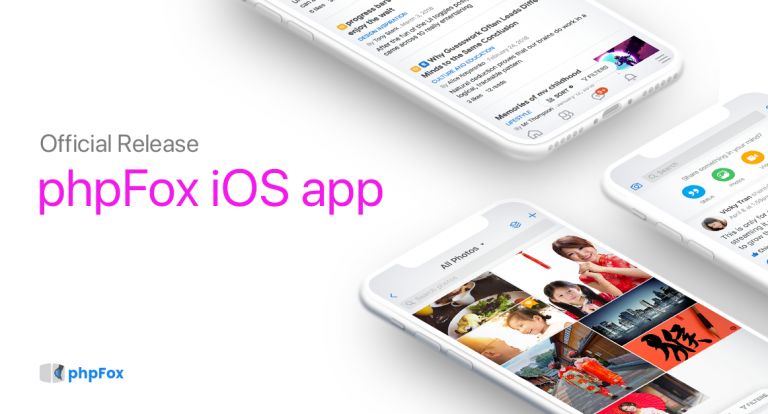 Expected to be an extra boost to amplify users’ awareness of your community, phpFox iOS app truly enhances social connectivity with real-time access. The app guarantees a higher conversion rate return and cost-efficient values to your Social Network. Let's take a quick tour now ﻿ Want to experience the mobile app? We have published our phpFox iOS Mobile app on the Apple Store and set up the phpFox site for demo purpose. You can go to AppStore on your iOS device and search for "phpFox", then download and install the app named phpFox. Or click on the button below.Demo Server URL: https://mobileapi.phpfox.com User: phpfoxtest1@phpfox.com Password: 123456New Update on phpFox Licenses Coming along with the official release of the iOS mobile app, we are glad to inform you about the new phpFox license type: phpFox V4 Ultimate license. 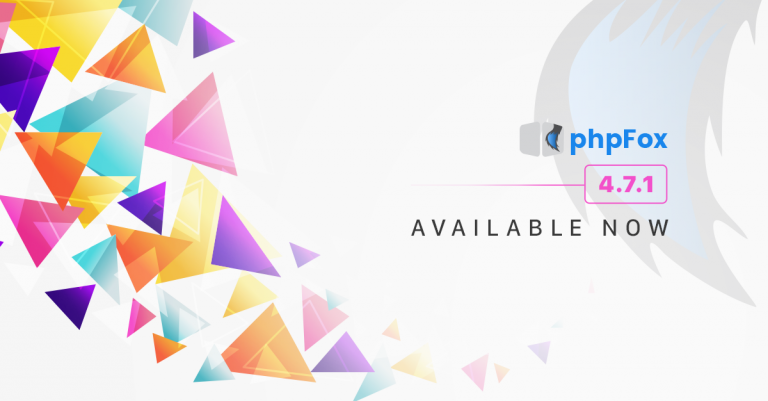 The phpFox V4 Ultimate license has all features of the phpFox V4 Pro license and includes Premium Mobile version.With Premium Mobile version, we will build your mobile apps with your branding and distribute to Apple Store and Google Play under your Developer accounts. On top of all phpFox branding and copyright will be removed, you can:– Change App Splash Screen– Change Color Scheme of mobile appYou can refer to this article for more info about our Premium Mobile Build ProcessIf you are holding Lite, Basic and Pro licenses, you can start upgrading your phpFox licenses to phpFox V4 Ultimate licenses from now. Please follow our guide here.Or you want to purchase new phpFox licenses right now, please click on the button below.And one more thing, In addition to phpFox V4 Ultimate with Premium Mobile version, we are going to have a new phpFox license which will allow you to use the default phpFox Mobile apps for your phpFox community. These mobile apps are published under phpFox Developer accounts on Apple Store and Google Play. They will be upgraded regularly during development. However, the phpFox branding and copyright can’t be removed in this mobile app version. Instead, you will be able to configure to display your site Logo on Login Screen and inside phpFox mobile apps (after logging in). For detailed guidance to use this phpFox Mobile version, please refer to this article. And, we are happy to offer the default phpFox Mobile version to those who are using phpFox V4 Pro licenses from now to Dec 31st, 2018. Please open tickets in Client Area to request for this Mobile app version. Having any questions or need support? Please feel free to contact us in the Client Area or drop us messages to hello@phpfox.comWe welcome any opinions and feedback on how you feel and how we can improve the app in the future. Carry your community and keep updated anywhere with phpFox iOS Mobile app! 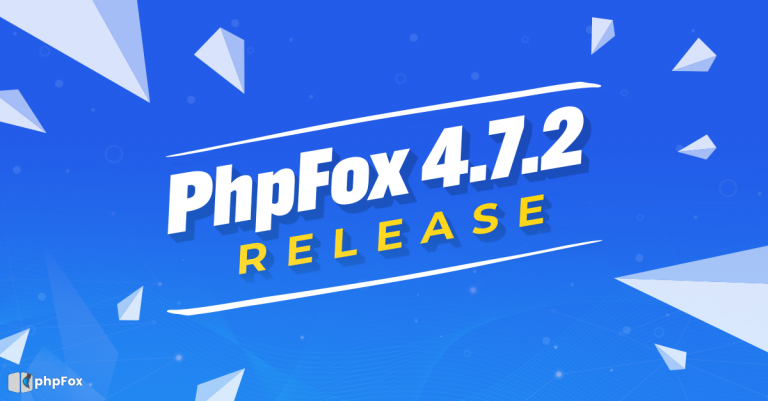 Today, we gladly inform you that phpFox 4.7.1 is here. As a proof for active development, phpFox constantly improves to meet any need and demand from clients. Based on client's feedback and suggestions, in this phpFox release, we mainly focus on improving current features and resolving issues, so upgrade your community now to take advantage of the latest refinements from the phpFox team!Improvements Alongside with bug fixes, phpFox 4.7.1 also applies many improvements on Core features in order to level up user experiences on the platform. 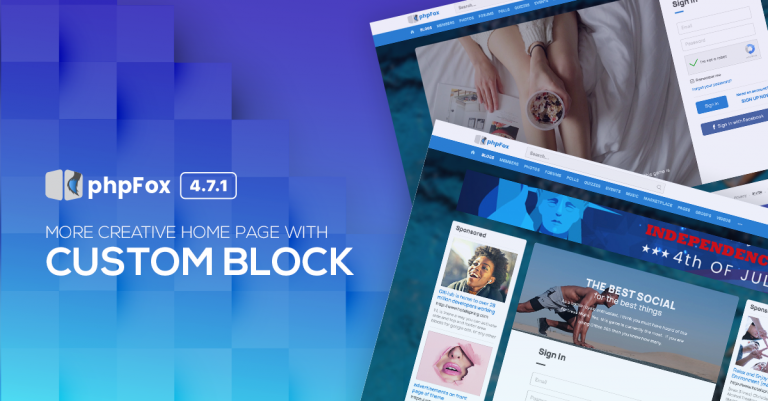 You can find a quick list of the key improvements from the list below:- Support responsive layout in AdminCP- Ability to add custom Gender- Can show blocks on the Landing page- Able to tag friends when sharing photos and videos on feed Fixed Issues We carefully reviewed and resolved all the major bugs and issues from the last version. Some of the highlights fixed issues include:- Cronjob URL is missing a slash.- Check-in doesn't show up properly when editing a status- Several fixes in language phrases and layouts.- Site Statistic loads duplicated statsFor the full list of improvements and bug fixes, please visit the Release Notes of this version here. Changelog If you are developers and you have a concern about the changes in the Core script on this version. See the complete changed file list here. Installation & Upgrade We encourage you to back up your site and database before performing the upgrade. Make sure to check with 3rd-party experts about the compatibility of all the apps/templates you are using. Also, take advantages on useful guides below if you want to upgrade the site yourself.– Download – Upgrade Instructions – Installation Guide Important Notes - All default apps of phpFox are compatible with the Core 4.7.1- If your phpFox site is using 3rd-party apps or has customizations, our recommendations here can help you. We welcome any feedback to make phpFox better and better every day, so feel free to let us know your thoughts on this release by emailing us at hello@phpfox.com.Also if you found any issues with this version, please let us know by submitting tickets or reporting immediately to our GitHub Tracker. We also encourage you to join and stay connected with the Community Forum. New to phpFox? If you are new and looking for a solution to build up your own Social Network, then phpFox is the right platform for you. phpFox is the ultimate solution for your social network. Thriving to be the best platform for Social Network, phpFox has everything you can expect from a social network: Full-featured, fast, responsive, stable, easy to customize, easy to scale up, Mobile-ready, several extensions from 3rd-party developers… You can start building your own Social Network within minutes with our best Support service.Ask us how and get your own license via Live Chat at phpfox.com Purchase New License You can purchase phpFox right now to enjoy these above perks just by clicking on the button below. We also have an exclusive 14-day Free Trial for you to try the platform before making any decision, and you can visit our Demo site at any time.Let's build and enjoy your social network today! As teased in the phpFox 4.7.0 Sneak peek, improving performance is one of the primary targets for phpFox 4.7.0 development. In this blog, we will discuss in more detail about performance enhancement in phpfox 4.7 by briefly describing the way we conduct the performance test, the test result and some further discussions about scalability with phpFox.In recent years, phpFox is becoming the best platform for Niche Social Networks, and so there is an increasing amount of users all around the world. As you may know, performance has been one of the major care and we put a lot of effort for code restructuring for performance improvement in phpFox 4.4. 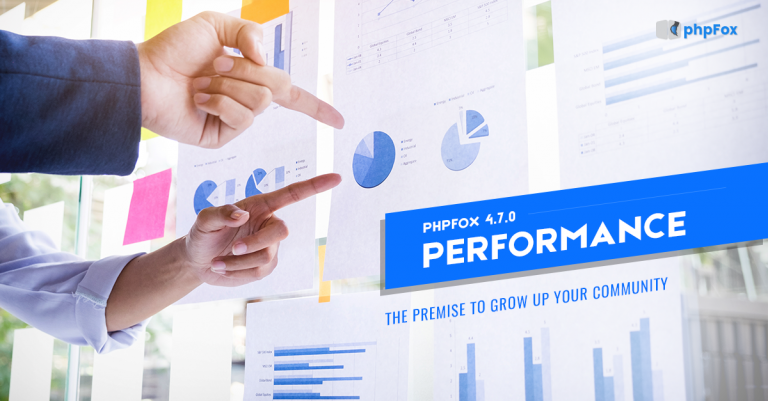 In phpFox 4.7, we revised the platform performance again with the latest technologies and we realize that we can do it much better. Testing Environment I. System EnvironmentTo simulate a common use case in which the whole system is deployed in one single dedicated server, we take a standard server with the following configurationsIntel® Core™ i7-4790 CPU, 4 cores / 8 threads 16G RAM 250G SSD Ubuntu 16.04 OSThe server is installed the following softwareNginx version 1.14 as the web server. PHP-FPM with PHP version 7.2. The pool process manager is set to "ondemand" instead of the default "dynamic" setting. Opcache and APCu are also enabled. The "request_terminate_timeout" is set to "15s". MySQL Community Server version 5.7.22. Redis server version 3.x as the cache layer. II. DatasetWe install phpFox 4.7 and use the in-house data generation script to simulate a phpFox social network site with the following dataAll phpFox's default apps are installed. 10,000 users with 200,000 membership relationships. Each app (such as photo, forum, blog, polls, events, quizzes, etc.) has approximate 30,000 items.The site statistics is attached as follows III. Testing MethodWe use Locust as a load testing tool. The Locust software runs with 4 slave threads on an Intel Xeon E3-1270 v6 CPU @ 3.80GHz (4 cores/8 threads) to be sure the load is put to the site properly. The test is conducted with the HTTPS protocol so that the cost for resolving SSL is also taken into place. Each virtual user will conduct the following activitiesFirst, visit the site home page. Next, login with his email and password. We force the locust script to pick different users for each session. After login, the virtual user will continuously visit all landing pages of activity feeds, member list, and all default apps (such as photo, forum, blog, polls, events, quizzes, etc. ).Each test runs continuously at least 10 minutes at the highest load. IV. Acceptable Passing Criteria A test can only consider being passed if it satisfies all the following criteria:All requests must respond less than 15 seconds. If one single request exceeds 15s, the test is failed. No single failed request during 10 minutes at the "peak" load. The software must handle at least 500 concurrent online logged-in users in one dedicated server with the above testing method.Testing Results I. The number Tl;dr: phpFox 4.7.0 passed the performance test with 600 concurrent online users as in the following screenshot:Some detailed numbers are highlighted as follows:The system can handle more than 600 online users with the above configuration with no failed request. Average response times for all requests is ~ 7.x seconds. The system can handle ~ 105 Requests Per Second (RPS). II. Some Conclusions The result between File Cache and Redis Cache settings are nearly the same in this system. However, when running on a non-SSD system with more writing operators, the Redis Cache setting proves to be better.Comparing to the previous version (phpFox 4.6.1 - 27 RPS & 17s Average Response Time), phpFox 4.7.0 can handle more than 3x RPS and Average Response time is less than 1/2 on the same system configuration.If your phpFox social network contains mostly browsing activities as in the test, the real online users might be higher since this test simulates concurrent online users.The real concurrent number of users can also be higher this test since this test does not take the non-logged-in users into account. For non-logged-in requests, we can offload the application/database server by simply configuring your web server/proxy/load balancer to cache page content.The test only focuses on "browsing" activities with no new content posting activities. Results will be different depending on the real member activities on different social network sites with different installed apps. Further Discussions We also conducted a similar performance test on a cluster of multiple servers. In this system, we utilize the following configuration to achieve much higher concurrent online users by splitting loads among servers:We use HAProxy as the high-performance load balancer. Nginx and PHP-FPM are used in application servers that serve phpFox source code. We also use Nginx micro cache for off-loading non-logged-in visits. For Database cluster, we utilize the latest MySQL Group Replication under a high-performance proxy to distribute database read and write loads among many database servers. Please be noted that supporting for MySQL Group Replication is only available from phpFox version 4.7.0. We utilize a Redis cluster for Caching purpose.Maintaining a cluster of servers when users and the site traffic grows are tedious and complex work. So we always recommend our clients to move to a cloud-based environment such as Amazon Web Service when their site grows. Also, setting up an optimized environment for a growing social network with lots of user activities is not an easy task so we do provide all services for your growing site. Be sure to check our Services page to see what we are providing. Final Words As a result of the above tests on phpFox 4.7.0 performance, it's a certainty to come up with a solid statement that this new version surely opens up a brand new and enjoyable experience to you when it comes to how well your social network handle requests and respond accordingly.Share us your thought on how phpFox 4.7.0 performs on your Social Network by emailing us at hello@phpfox.com.